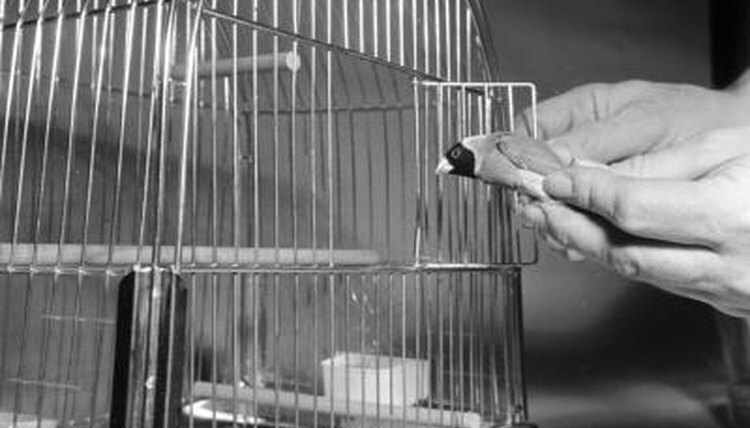 Finches are small, easily kept birds that are social to each other, but do not particularly thrive on interaction with people. When you have decided to buy a pair of finches or more, you must make sure to select a cage that will best suit the needs of these particular birds. Finches get all of their exercise by flying and generally are not interested in playing with toys or on bird gyms, so you must make sure your finches will have plenty of room to get active and interact with each other in their new cage. Decide how many finches you plan to keep in the cage. Remember that your cage should have 3 to 4 feet of floor space per every pair of finches you plan on keeping in it. Locate a cage that is sized adequately for your bird's needs. Keep in mind that the length of the cage is more important than the height, because finches need plenty of room to fly and roost within the cage. Avoid keeping your finches in a cage that is too narrow because they may fight over the roosting locations near the top if there is not enough room to go around. Purchase a cage that can accommodate adequate food and water dishes, perches and swings for all of your finches without interfering with the room for the flight pattern. Can I Put a New Parakeet in With Two I Already Have?